The Park Hyatt Beaver Creek was the largest single real estate transaction in 2017 at $145.5 million. Total sales in 2017 exceeded $2 billion for the first time since 2007. $2.27 billion: Total value of 2017 real estate sales in Eagle County. 2,150: Number of total sales. 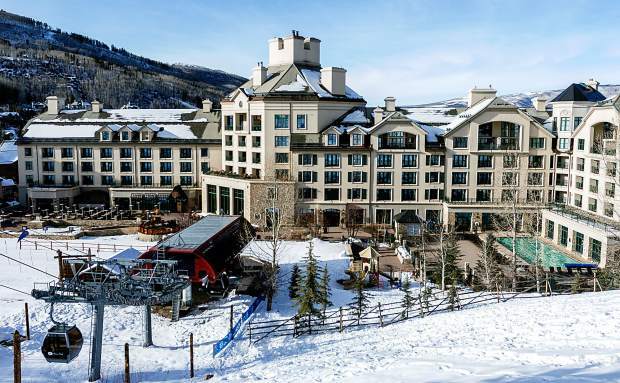 $145.5 million: Eagle County’s largest 2017 real estate sale, the Park Hyatt Beaver Creek. $28.7 million: Highest price for a residential sale, in Vail Village. 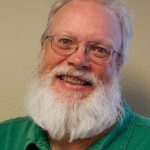 Source: Land Title Guarantee Co.
EAGLE COUNTY — It’s taken a decade for Eagle County’s real estate market to get back to levels set during the boom years between 2005 and 2007. But this market is far different from that market. According to full-year numbers from Land Title Guarantee Co., the local real estate market in 2017 hit levels not seen since 2007 in both sales volume and transaction numbers. That marks the latest milestone in a long, long recovery. In terms of sales volume, the market exceeded $2 billion in sales for the first time since 2007. That volume was driven, in part, by some very large sales, particularly the sale of the Park Hyatt Beaver Creek, a deal worth $145.5 million. But the residential market was also strong, from one end of the valley to the other. Tight inventory, along with demand, is driving some value increases, but brokers say the driving forces now are significantly different from the ones in play a decade ago. “It’s about fundamentals and inventory,” Berkshire Hathaway HomeServices Mountain Properties broker Onie Bolduc said. In 2007, a lot of homes were being built — the joke was that Vail’s official bird was the (construction) crane — and mortgage money was easy to get. As construction dried up and a national financial crisis led to much tighter lending standards, the real estate market dried up, too. The result of the busted boom was felt most keenly in non-resort residential area. Some neighborhoods lost 30 percent or more of their boom-era value in the bust. At one point, in 2011, a full 20 percent of all sales were either foreclosures or other kinds of “distressed” transactions. The market today seems better situated, Bolduc said. While inventory has grown slowly, the population is growing, and demand is strong in residential areas. Still, Eagle County is actually a number of smaller markets, each with their own strengths and weaknesses. Longtime local broker Bart Cuomo, of Vail Realty, said one portion of the market that seems poised for a comeback is homes priced between $750,000 and $2 million. Back in the boom days, homes in that price range moved quickly, Cuomo said. But that range hadn’t recovered from the slowdown until recently. And, while local buyers and Front Range-based buyers have always made up the bulk of the local market, the Front Range’s economic strength seems to be drawing even more of those buyers to the Vail Valley. “I’ve never seen such a high percentage of Colorado people buying,” Cuomo said. And there are values to be found around the valley. Bolduc, who grew up in the Vail Valley, said there are some lots available in Cotton Ranch at reasonable prices. “We haven’t hit the peak sales prices (from 2007) in many parts of the valley,” Bolduc said. A strengthening real estate market has also brought more people into the business, but not at the rates seen in the boom days. Kyle Denton was the Vail Board of Realtors’ board chair in 2017. Denton said that more than 100 brokers per year joined the group in 2005, 2006 and 2007. Membership fell off during the slump, but has been slowly recovering the past few years, Denton said. The group began 2017 with about 660 members, and finished the year with about 700 brokers on the membership rolls. The slow growth in board of Realtors membership in a way mirrors the recovery of the local market. Again, it comes down to fundamentals.